You have reached the personal website of Jorge Amodio also known as "pete". 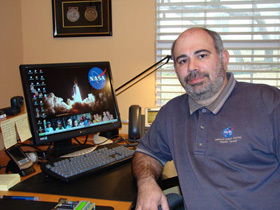 For more than 35 years my professional career took me from digital electronics, programming and system development, computer science and information technology, telecommunications and large scale internetworking, engineering executive management, and research & development. I've been always using and promoting technology in the private and public sector, from small startup companies to large corporations, and as a technical consultant for international organizations such as the United Nations and the Organization of American States. 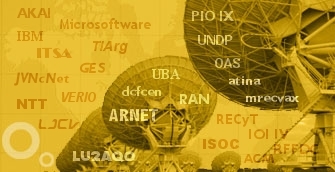 In the mid-eighties I was involved in the early steps of Internet in Argentina, establishing the first international connection with SURANet/NSFNet while working at the Ministry of Foreign Affairs of Argentina. For several years I was the technical administrator of the AR-ccTLD, Pioneer Member of the Internet Society, founder and president of the Argentinean Chapter of the Internet Society, and I keep contributing as a volunteer in different organizations and forums such as ICANN, IGF, IETF, etc. In the mid-nineties while in Princeton, New Jersey, I helped to complete the transition of the old NSFNet to the private sector, particularly with JVNCNet regional network, later operated by Global Enterprise Services (GES) becoming Director of Engineering & Operations. GES was later acquired by VERIO, Inc. which performed 54 ISP and webhosting providers in about three years, I assisted in the technical due diligence and integration of acquired companies becoming VP of Engineering. Later VERIO got acquired by NTT (Nippon Telegraph and Telephone) and I moved to work directly with the CTO in technology R&D, datacenter network arhitecture design, networking equipment selection, purchase and service contracts negotiations, etc. I also participated in the design of NTT's global VPN services and SLA infrastructure. During the past 16 years, since we moved with the family to Texas, I've been doing research and development of embedded microcontroller applications, working as an independent consultant/contractor providing services and selling some products through LJCV Electronics. About my hobbies, besides Electronics, I've been having fun with some retrocomputing projects with old Personal Computers such as the HP Series 80 family of Personal Computers, I collect old logic and protocol analyzers, and microprocessor development kits. I continue developing embedded microcontroller networked stuff, and doing research in protocols for energy management, low power wireless sensor networks, Internet of Things and cloud computing architectures. For more than eight years I worked as Principal Engineer with Serious Integrated, Inc., developing very cool technologies for Human Machine Interface (MHI,) advanced industrial communications modules and other embedded applications primarly Renesas processors. I'm currently back as an Independent Freelance Consultant doing business as LJCV Electronics doing R&D on Embedded Systems with particular focus on Internet of Things (IoT) applications. You can follow my work and projects I'm putting together on my technical Blog. On the right you will find a list of Quick Links for other sites and entities I'm involved with, forums and mailing lists where I normally "hang out". I currently live in San Antonio, Texas with my beautiful wife Lorena and my two lovely kids Christian and Veronica. I'm always looking for interesting job opportunities and projects where I can contribute my technical experience and management skills. If you are interested to have a copy of my resume, please don't hesitate to contact me. If you want to get in touch or if I can be of any help feel free to contact me via e-mail or through other professional/social networking services.